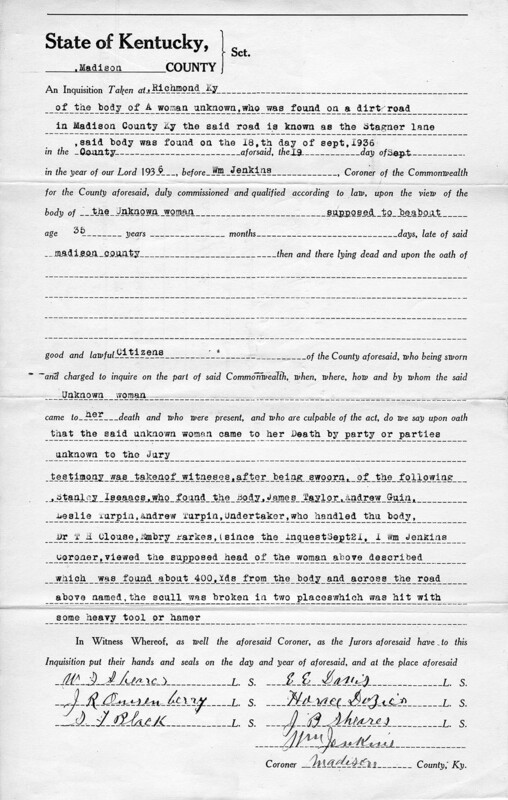 A coroner's report giving details of a woman's murder. We the jury being duly sworn by Wm. 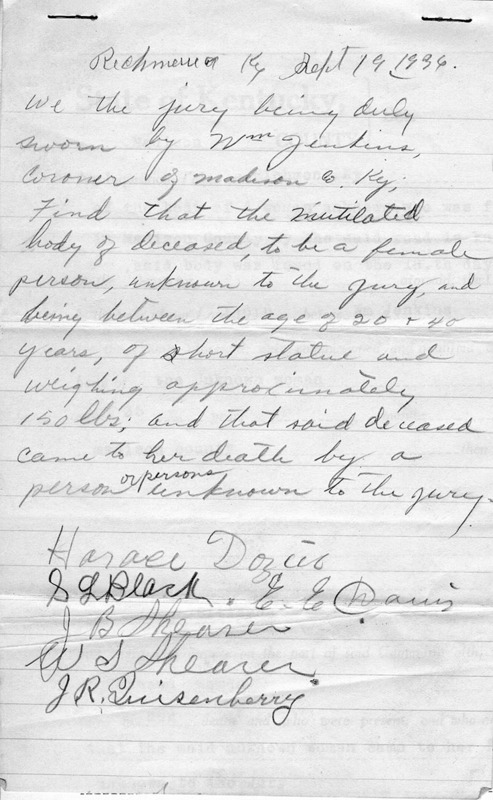 Jenkins, coroner of Madison Co. Ky, find that the mutilated body of deceased, to be a female person, unknown to the jury, and being between the age of 20 and 40 years, of short statue and weighing approximately 150 lbs; and that said deceased came to her death by a person or persons unknown to the jury. 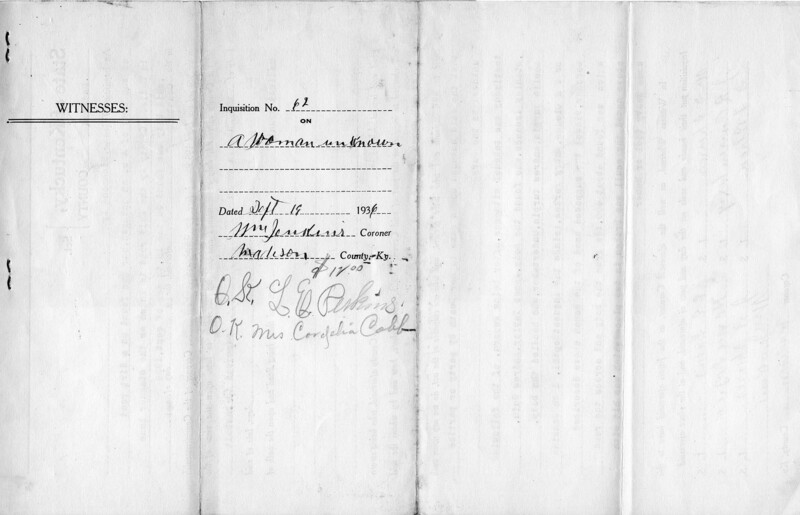 “Madison County Coroner's Reports,” Digital Collections, accessed April 26, 2019, https://digitalcollections.eku.edu/items/show/33899.